A new video is available on Plus Technologies‘ website (My-Print-Delivery page). In addition, you can find this video on our YouTube channel, www.youtube.com/PlusTechnologies. In short this video describes OM Plus My-Print-Delivery (MPD), how it works, and the benefits of using this product. 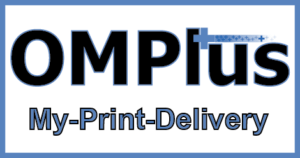 Generally speaking OM Plus My-Print-Delivery (MPD) software is Plus Technologies solution for pull printing. This type of solution is also called by other names such as print release, pull printing, follow-me, or find-me printing. The idea behind the concept is to improve printing efficiencies by holding user documents in the print system until the user releases the document while physically at the printer or multifunction device itself. Plus Technologies serves customers of all sizes as our products, licensing, and pricing is scalable upwards and downwards. We have departmental as well as enterprise wide output management software implementations. In addition, we have successfully sold into many Fortune 500 organizations. One reason for our success is our willingness to respond quickly to our customer’s unique requirements. We listen to the customer to understand their environment and their needs. In addition, we work the customer to determine the optimal solution. We are also able to quickly make enhancements to our products to meet specific needs. Moreover, we offer pricing and licensing flexibility to suit our customer’s budget. Furthermore, we are experienced and experts at implementation services. Lastly, we provide world class support. This recipe has served us well over the years and as a result we have an extremely loyal customer base.